Regions Hospital, Saint Paul: Following his battle with Balzador Aleric Sprengel is taken to a hospital with a serious gunshot wound. 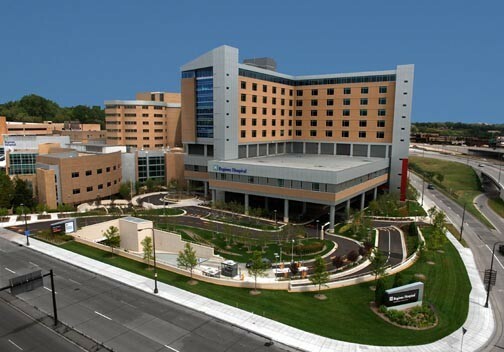 While the hospital is not named in the story, the level 1 trauma center for the city of Saint Paul is Regions Hospital, located just across Interstate 94 from downtown. This is almost certainly where a shooting victim would be taken from Hidden Falls Park. Regions is a large modern hospital with all the latest technology, but despite this Aleric only manages to survive until the next morning. The ceremony swearing Jonas Votan in as Guildmaster takes place in the second portion of this chapter at the Sprengel mansion on Summit Avenue introduced in the Emperor chapter.